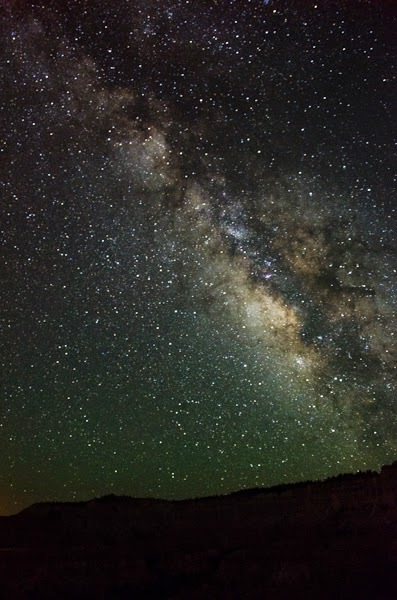 Calling all astronomy nerds: Bryce Canyon is bomb for stargazing. Far away from city lights, it really sparkles at night. We took our tent on its inaugural adventure (yes, me, in a tent! ), and our trip happily coincided with the Bryce Canyon Astronomy Festival. It was awesome with a side of nerdy. I mean... That pic above is everything. Amiright?! The whole weekend is full of star-related events, from rocket launches to telescope viewing parties. The keynote speaker was Alex Cherney, a brilliant star photographer. He gave step-by-step instructions on how to capture stars and the milk way. It was worth his presentation just for the Australian accent, but he did give some sweet advice on how to catch stars on film, so to speak. 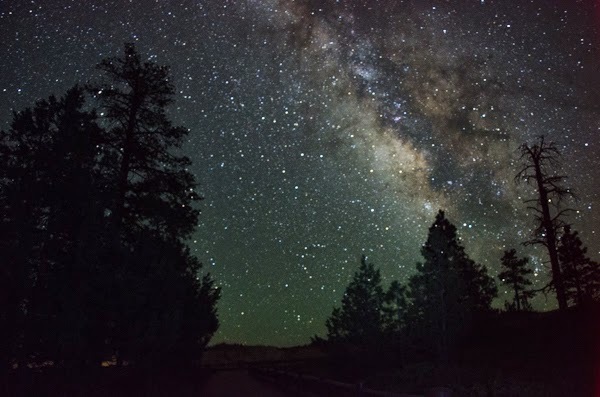 After 10 p.m. each night, wannabe star gazers are guided down an unlighted pathway (no flashlights allowed so you can adjust your night vision) to a parking lot full of high-powered telescopes. 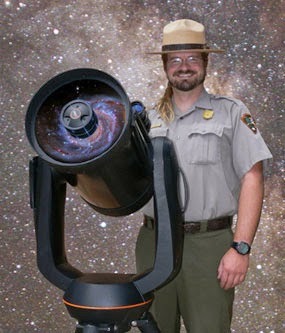 Each telescope is manned by its star-loving owner, anxious to show you what intergalactic object it is focused on . Globular clusters at one, other galaxies at another. 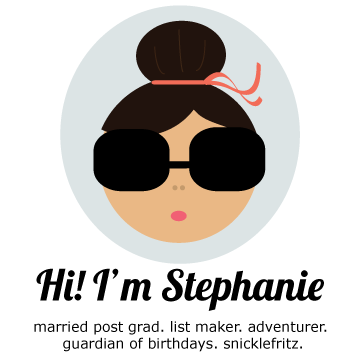 Is it cliche to say that Saturn was my favorite? (those rings!) Some telescopes are so huge, you need a step ladder to reach the viewing piece. Also, it is extremely dark which allows for asking ridiculous questions without fear of being exposed as a space idiot who doesn't know Star Wars from Star Trek. I used a 30-second exposure to capture this, but the milky way was easy and clear to see with the naked eye. It made me feel very, very, very small. Bring a coat- not a jacket. You need a winter coat and gloves. The temps dropped to 40 degrees at night, even in July. You can just feel the nerdy-ness. And it was awesome. Even if you aren't into space, ask questions. 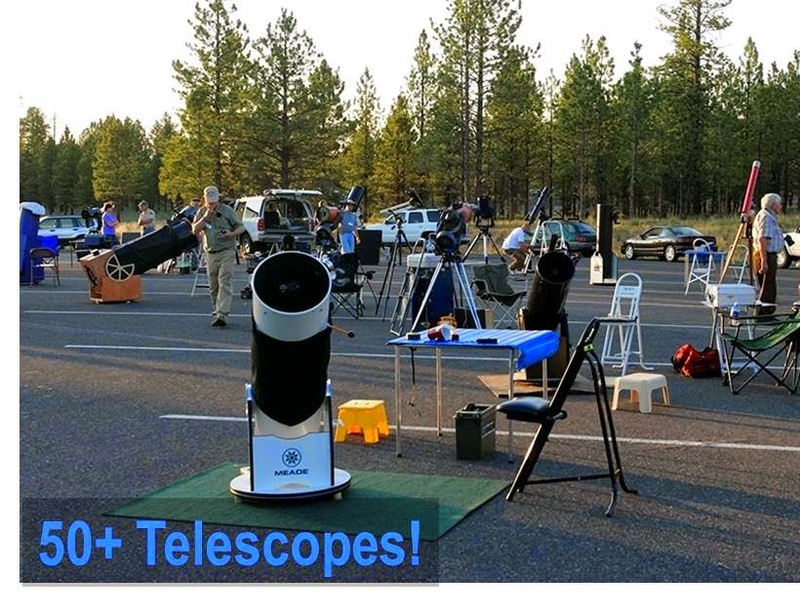 I learned about things I never knew existed and most telescope owners were thrilled to talk about something they were so passionate in. Arrive early if you are camping. First come first serve campsites in the park were full by 1:30 p.m.
Bring a flashlight! (Not allowed near telescopes). The astronomy festival is scheduled during the new moon (opposite of the full moon) to make it easier to see the stars. In other words, it is very, very dark.